The Hubstaff app makes it easy to track your exact time, so you can focus your energy on your consulting clients. Simply start the timer, begin working, and rest assured that you will have exact time recorded so you can invoice clients when a project is completed. As you track time with Hubstaff, timesheets are automatically generated for you and stored online. You won't ever have to worry about writing time down and entering it manually later. The timesheets are flexible and you can add, edit, or delete time. Hubstaff's invoicing tool allows you to easily send invoices to your clients for work done. Automatically generate line items based on time tracked with Hubstaff and keep track of payments received. Enter notes into the Hubstaff app while you work describing what you're doing. You can also enter notes in your account online. The notes can be included in the reports that are generated and made available for clients to view. 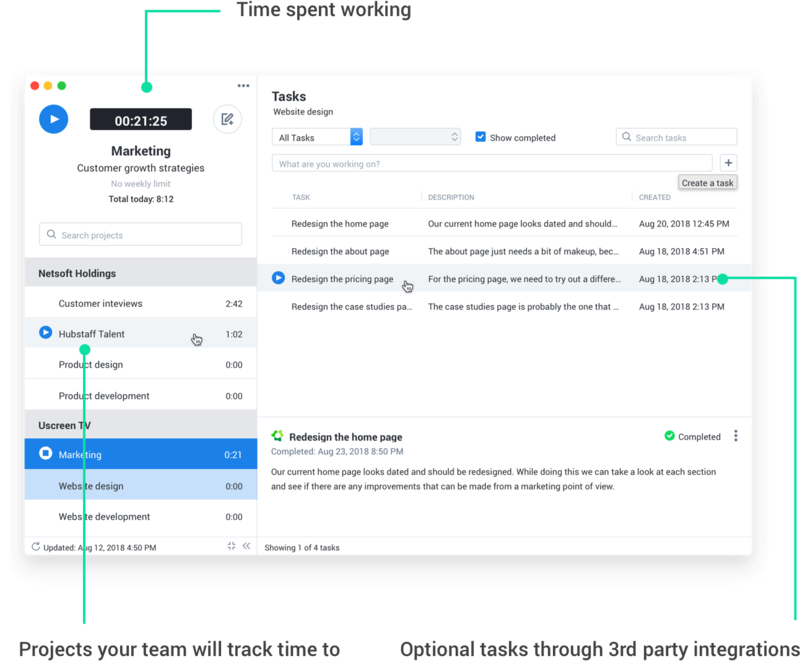 If you wish to give clients an extra layer of transparency and confidence in your work, you can invite them to view screenshots of time worked along with activity levels. You can set the screenshots to be taken once, twice, or three times every ten minutes. You can also disable the screenshots. On the mobile apps, you can enable location monitoring to track your locations as you track time. Hubstaff's smart time tracking is precise down to the minute spent working. Hubstaff knows when you are inactive so you don't need to remember to stop time. Have complete control over your timesheets with add, edit, and delete options. 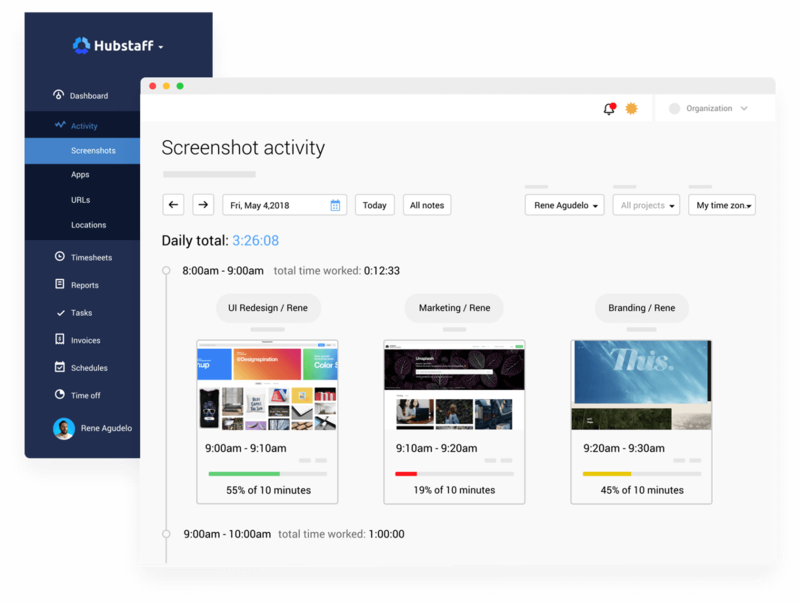 When you use Hubstaff to track your time worked, reports are built automatically. You can configure these reports and download them as PDF files or email them to clients. 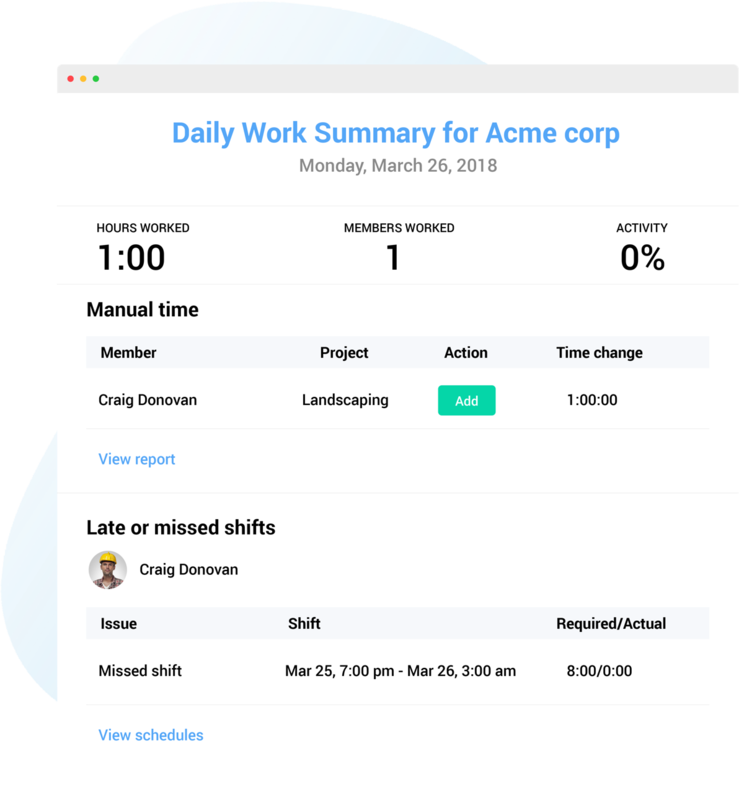 With Hubstaff reports, you'll always have organized, accurate records of the time you spend on each project.